Happy New Year to Our Friends in the Blogging World! Fireworks from Burning Man 2015 to welcome in the New Year.This is a side view of the Man just before he burns. You’ve allowed me to see the world through your eyes in Nigeria, Knoxville, Southeast Texas, northern Oregon, and ever so many other places. I’ve stood beside you as you have fought Ebola in West Africa, hiked in Patagonia, travelled down the Nile by boat, snorkeled in Iceland and built houses in Nepal. Many of you are superb writers; you’ve shared your poetry and stories and causes as well as your adventures. And many of you are excellent photographers, sharing your life in pictures as well as words. In return, I’ve taken you backpacking into the Grand Canyon, shared the craziness and beauty of Burning Man, and invited you into my home in southern Oregon. 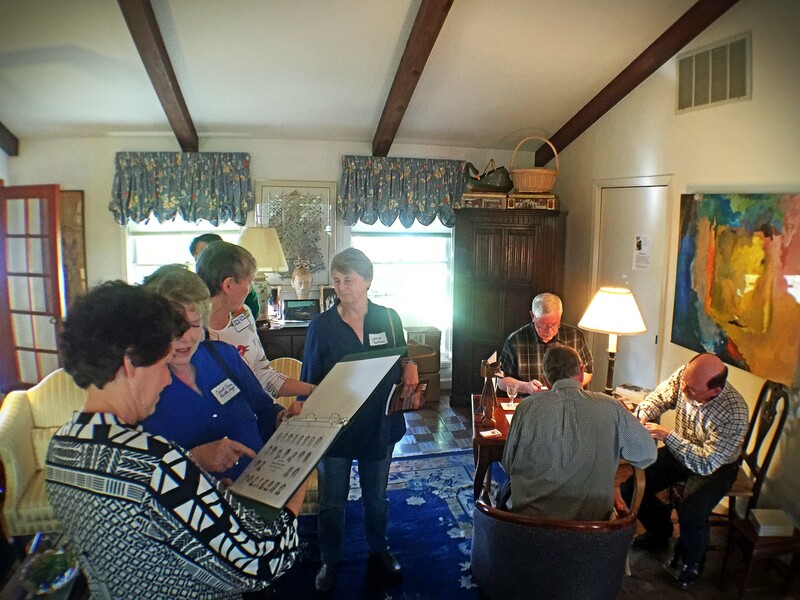 Peggy took you along on her exploration of the Cotswold in England, and I took you up the North Coast of California where we explored subjects ranging from the Grateful Dead to the world of tattooing. I suspect you recall my confrontations with the Nike Missile north of San Francisco. Iggy the Iguana wandered into our living room and onto my blog in Puerto Vallarta. And there were many more adventures. It was all fun for me. 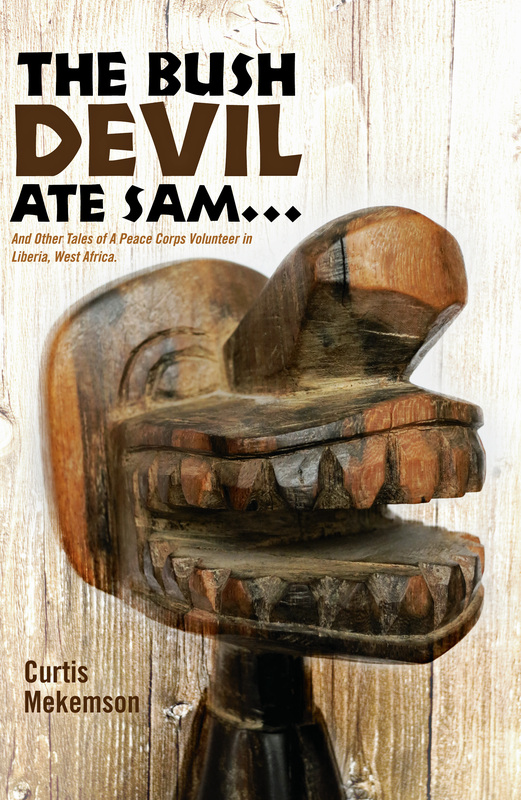 I was particularly excited and pleased to share the publishing of my book, The Bush Devil Ate Sam, about my experiences as a Peace Corps Volunteer in Liberia. Of the many visitors to our home I blog about is the deer herd that lives in our backyard and has become quite fond of apples. To this bower of trees at Point Reyes National Seashore. Peggy took you on a trip to England that included a Gloucester Cathedral hallway that was used in Harry Potter. While I took you to the Potter School in Bodega, CA that was used in Alfred Hitchcock’s film, The Birds. Senor Iggy the iguana came to visit us when we were in Puerto Vallarta. Altogether, according to WordPress, my posts had 94,000 views from 170 countries in 2015— not monumental in the world of blogging, but definitely enough to please this wanderer. At the end of February, Peggy and I will be travelling to Alaska to see the kick-off of the Iditarod Sled Dog Race in Anchorage, and the World Ice Art Championships in Fairbanks, both of which I will blog about. From mid-March through May, Peggy and I will make a 10,000-mile road trip around the US and Eastern Canada, retracing the route of my 1989 solo, six-month bicycle trek. I’ll be blogging about both the bike trip and the road trip as we travel. Late August should see us back at Burning Man. After that, who knows? Here’s wishing each of you a happy and healthy New Year. NEXT BLOG: We will head off to Burning Man 2015 as promised. 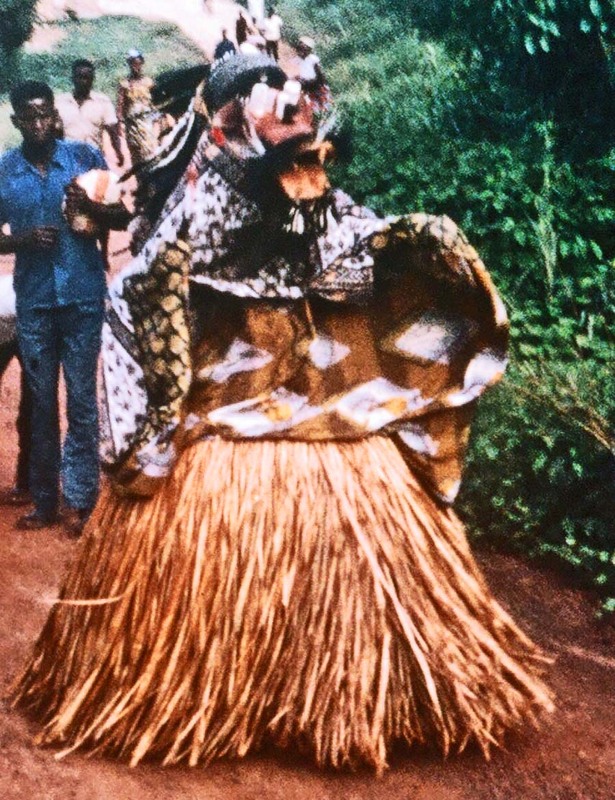 A fading photo from 1967 captures a Liberian Bush Devil, part hay stack and part voodoo nightmare, as it shuffles toward me through the red laterite dirt. 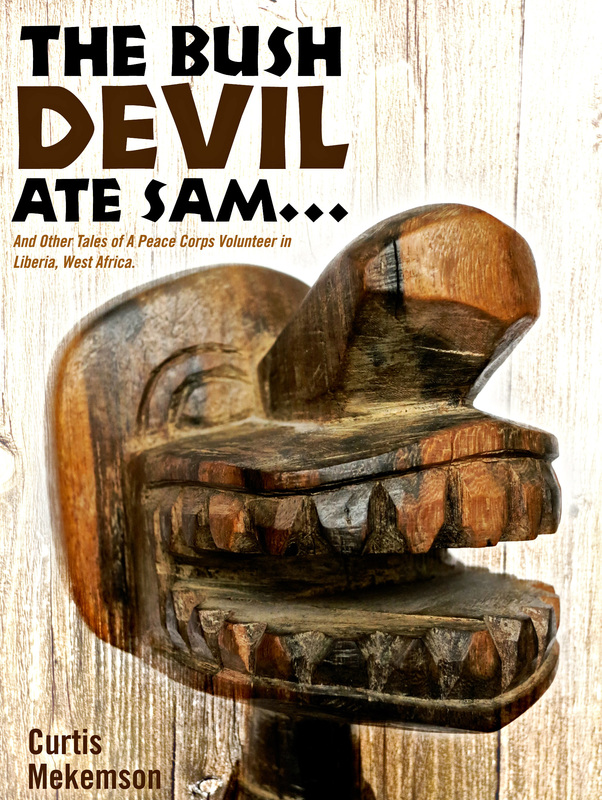 So, I’ve been struggling with the title of the book about my experience as a Peace Corps Volunteer in Liberia, West Africa. As part of the process, I asked for help from my fellow bloggers and friends. Step one included developing four options and providing backstories. Step two involved reviewing and summarizing the input. I have two objectives for my title. First, it needs to be catchy. Unless people are familiar with an author or have recommendations from a trusted source (friend, author they enjoy, media), the first thing that leads them to choose a book is its title. 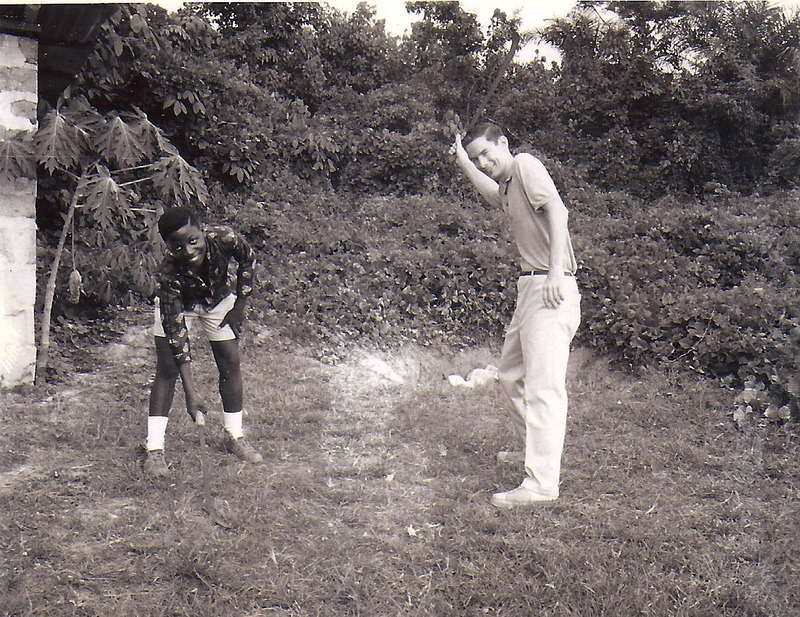 Second, the title needs to reflect my Peace Corps Africa experience. 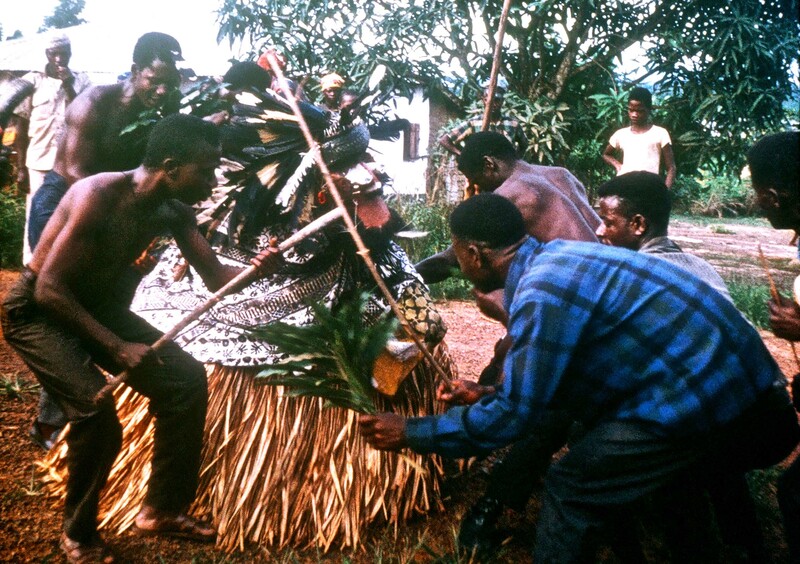 For example, on the one level, The Dead Chicken Dance is about cutting the head off a chicken and watching it dance– slightly unusual and a little macabre. As such, the title might gain attention. But there was more. 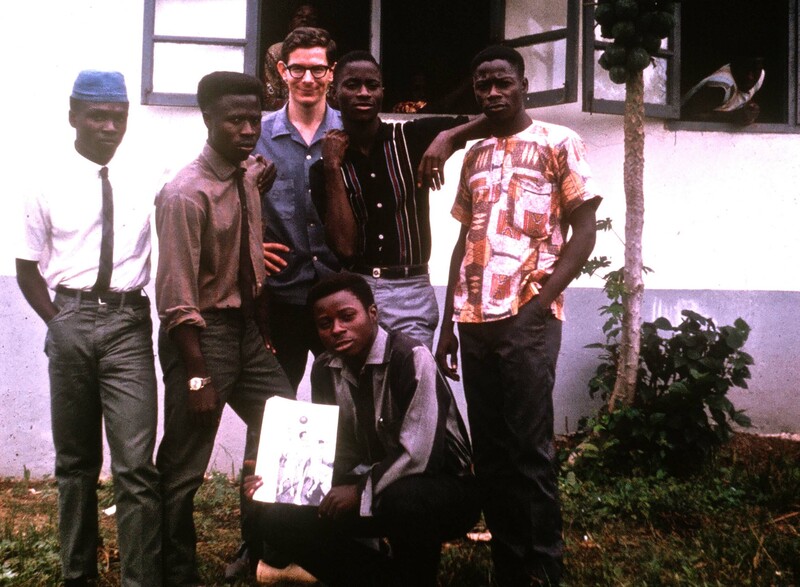 Early Peace Corps was struggling with how to prepare people to jump into another culture that was totally foreign to them. Killing, gutting, and plucking a chicken was guaranteed to provide trainees with a challenging experience that few of them had ever had but might face as a Volunteer. It’s a long ways between buying a pasty white, pre-packaged chicken in the grocery store and picking up a hatchet to cut the head off a feathered, clucking Henny Penny. 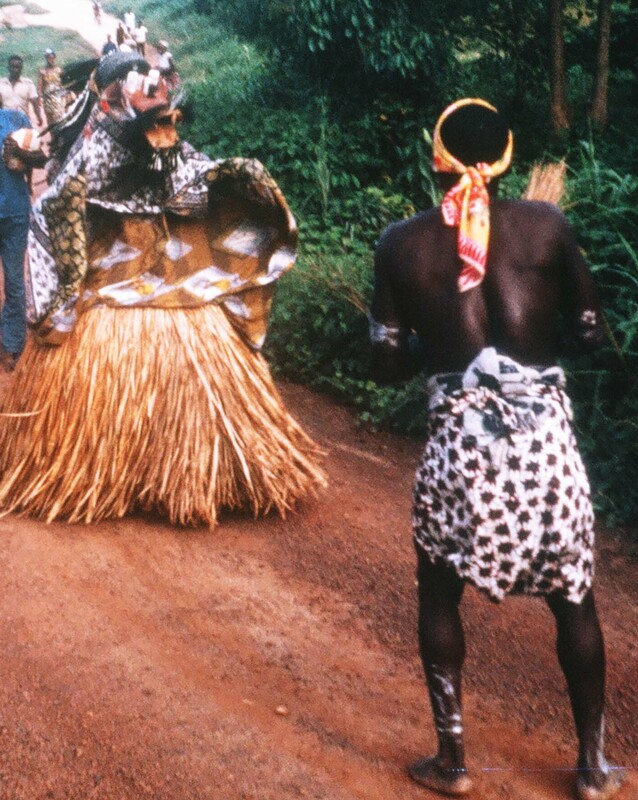 The Bush Devil Ate Sam and The Lightning Man Strikes Again reflected two aspects of African culture that were quite real to tribal Liberians. Both of these titles were designed to capture attention, but they also represented the dramatically dissimilar world that tribal Liberians existed in. 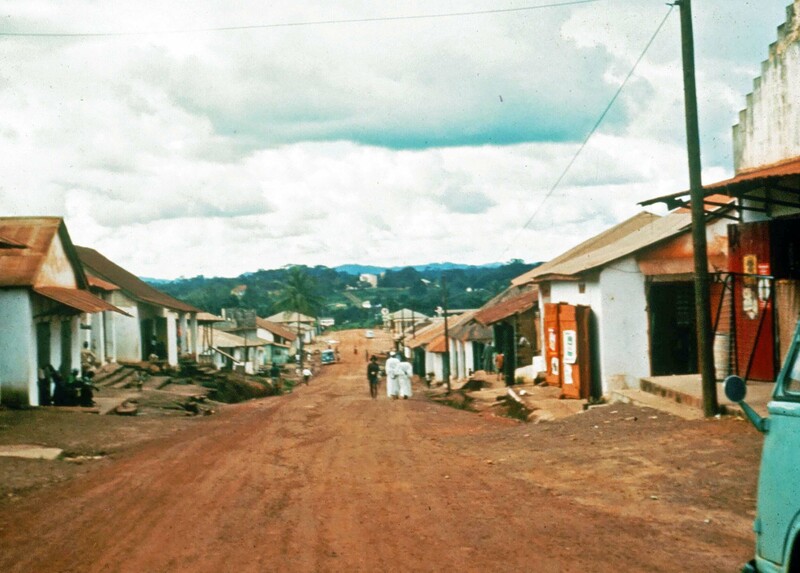 Understanding Liberia, in fact understanding much of Africa, depends upon recognizing these differences. How Boy the Bad Dog Ended Up in Soup represents a sharp break from our Western dog-centric world… of which I am very much a part. 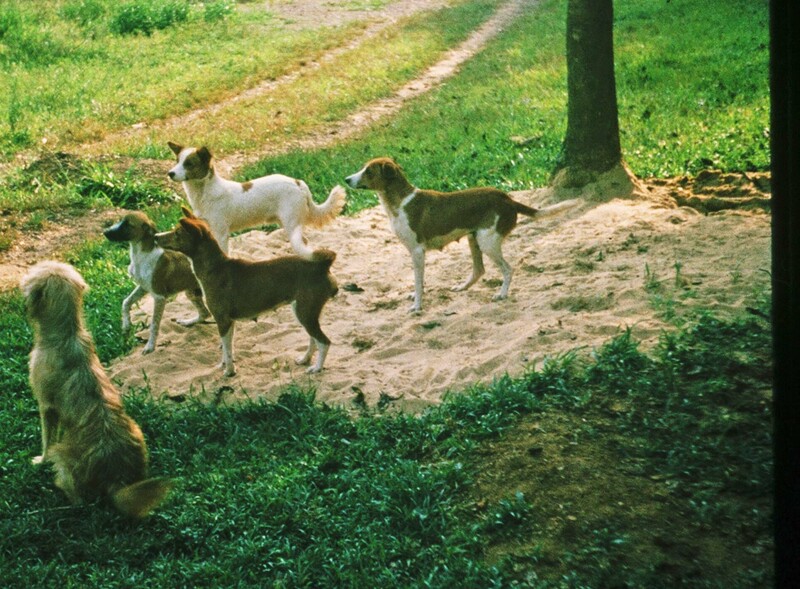 Dogs were a legitimate food source in Liberia. Students would tease me by coming by and pinching my cat, Rasputin. “Sweet meat, Mr. Mekemson” they would say while smacking their lips. They were cautious, however. Rasputin could take care of himself: “Pinch me once and I’ll squawk a warning. Pinch me twice and I’ll take off your finger.” As with each of my other titles, there was more to the story with Boy than a gastronomical challenge. It went beyond scary that soldiers would show up at my house in the middle of the night solely because the dog had eaten a guinea fowl. It was strange with a strangeness that I would think of more than once when Liberia fell into the tragedy of its civil wars. As I noted when I summarized the responses on titles, each title received strong support but Boy received the fewest ‘votes.’ Part of this may because we are so dog centric. As one blogger observed, the title might turn people off. I get that. Support for the other three titles was evenly split. For me, it finally came down to either the Bush Devil or the Lightning Man. 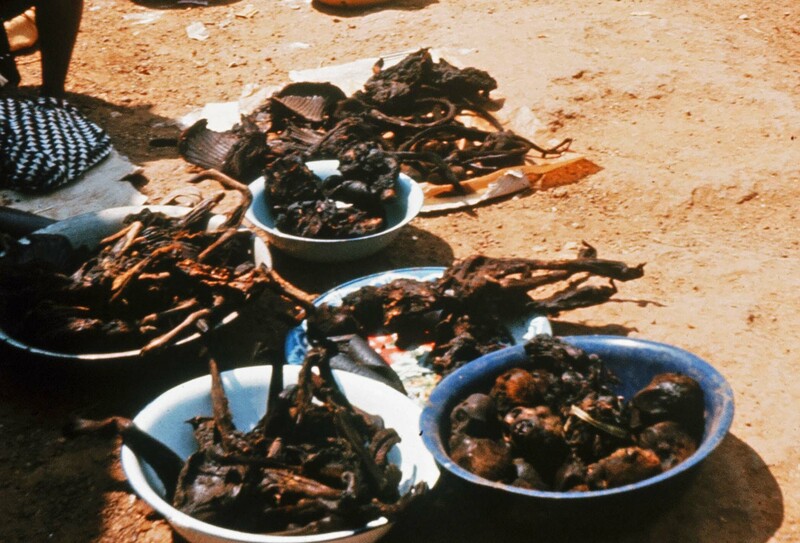 The Dead Chicken relayed an insight into early Peace Corps and cross-cultural challenges, but the other two did more to capture the Africa experience. Tossing a mental coin, I’m going with the Bush Devil. As my blogging friends James and Terri Gallivance, who have lived in Africa, noted: “We’re voting for The Bush Devil Ate Sam because we feel it embraces the mystery that is Africa.” The mystery that is Africa seems like a good place to start. 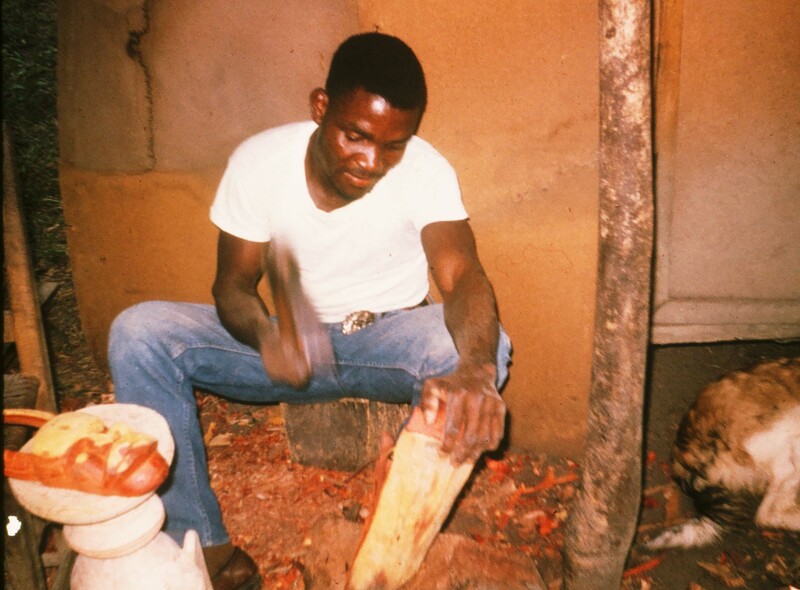 On a more prosaic level, I am adding “And Other Peace Corps Tales of West Africa” as a subtitle because it is important to have both Peace Corps and Africa included. Next up: the cover. As soon as I develop examples, I’ll post them.